Enjoy stunning views of the San Diego skyline from the balcony of your newly renovated luxury suite. Coronado Island Marriott Resort & Spa provides a comfortable atmosphere for relaxation and renewal with a variety of luxurious on-site features. About a quarter mile to the start at Tidelands Park. Some rooms even have a view of the venue. 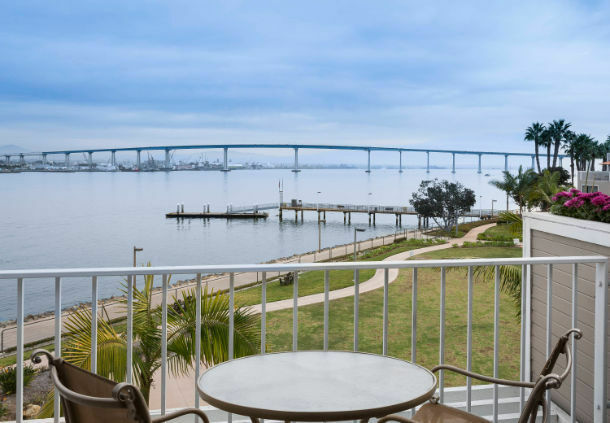 Stay at this charming Coronado Island hotel, centrally located just minutes from several white sandy beaches and all of San Diego's attractions. About a half mile from the start/finish.